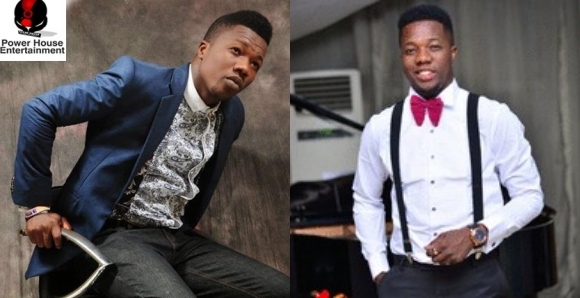 The war of words between up and coming comedian, Kelvin Sapp, and the organisers of the Nigeria Reliable Icon Awards, has continued unabated. As the story goes, Sapp had been engaged for the show and was offered N100,000 which he initially accepted but later declined. He also posted a disclaimer on his Instagram page dissociating himself from the event. In a chat with Sunday Scoop, the publicity secretary of the NRIA, Emmanuel Leonard, shared the genesis of the issue. "Kelvin Sapp came for a pageant in Bayelsa and from there, I introduced him to my boss, who gave him some money. I then invited him for my event and we agreed on N100,000 as payment. He told me not to bother about the transportation, that he would book his flight from the money. He sent me his picture and we started publicity for the event. Probably because he saw the level of awareness we created for the show, he felt we had big money somewhere so he demanded more. "I sent him an advance of N50,000 and on that day, he said the flight to Bayelsa would cost him about N57,000 so he couldn't collect N100,000 again. I reminded him that was the price we agreed on and that we would also take care of his accommodation and give him an award. We wanted to pay for his flight separately but he said from the onset that we should just pay him the N100,000 and he would sort himself out. "He then said I should send him my account number so he could refund the money. I sent him my account number and he said he had sent the money to me. But when I told him I didn't get it, he claimed that he mistakenly sent the money to someone else. He then posted a disclaimer on social media and that's the problem I have with him. In my opinion, a disclaimer means that he doesn't know anything about the event but that wasn't the case as he had already agreed to perform there, only for him to renege on the agreement shortly before the D day," he said. Leonard added, "He has refunded the money but that was after he sent me 'fake' transaction details. If not for the post I made on social media, he probably wouldn't have refunded the money. I am honestly not happy with him. Does he know that he can be sued for what he did? However, we have no plans to do that because he is an up and coming comedian and this kind of negative publicity is not good for his career." Maintaining that Sapp's action would not have any impact on the show, Leonard said, "His absence will not affect the show in any way. Tonto Dikeh and Chiwetalu Agu will be at the event and Tonto has already written about it on social media. To be honest with you, Kelvin Sapp is not known in Bayelsa; we were just trying to help his career by bringing him for the event. There are a lot of talented comedians in Bayelsa, so finding a replacement for him wasn't difficult. "The audience at the event will be made up of classy people so it would have been an avenue for him to get a lot of clients. It would have been a good opportunity for him to sell himself and he would have made much more than what we paid him." However, Sapp accused the event organisers of using the issue to score cheap publicity. Speaking through his manager and fellow comedian, Igos, he said, "If anybody is making any claim, they should have proof to back up whatever they're saying. If they claim that they had an agreement with Kelvin, then they should produce the agreement. Even if there was no formal contract, there should be text messages or social media chats to show what transpired. When this issue started, I knew they just wanted to get buzz for their programme.